State Senator Jim Brochin walks quickly into his Annapolis office. He’s had a busy morning on the senate floor and in meetings. 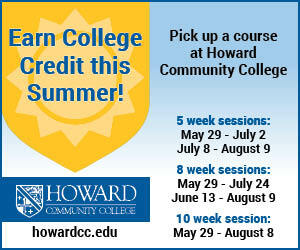 But now, Wednesday, Feb. 17, he’s making time for some Towson students. Two students sit down with Brochin in his simply decorated office. There’s some Towson memorabilia behind his desk. The three talk briefly about some University faculty before it’s time to get down to business. Matt Teitelbaum and Bryce Anderson are here to lobby Brochin on five different topics that were developed and approved by the Student Government Association. Brochin is personable, and listens intently as the students talk about keeping college tuition affordable, sustaining a workforce of University System of Maryland graduates, advancing transgender rights and securing the operating budget and money for capital improvement projects. Brochin has seen the campus master plan, which the students talk about, and he’s happy with it, for the most part. 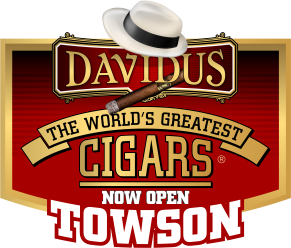 He just has one favor to ask of Teitelbaum and Anderson when they talk to Towson administrators. This kind of communication is all a part of SGA’s annual Tiger Pride Day, wherein dozens of Towson students travel to Annapolis to spend the day lobbying legislators about concerns that affect the entire school. This year, the 17th annual Tiger Pride Day, saw 129 student registrations (only 48 of whom were members of the SGA). 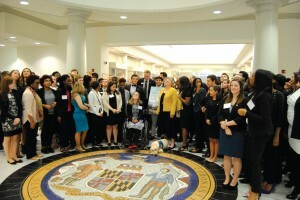 Close to 100 students actually traveled to Annapolis to lobby. Photo by Cody Boteler/ The Towerlight Towson students and legislators including Senator Jim Brochin participate in the 17th annual Tiger Pride Day Feb. 17. 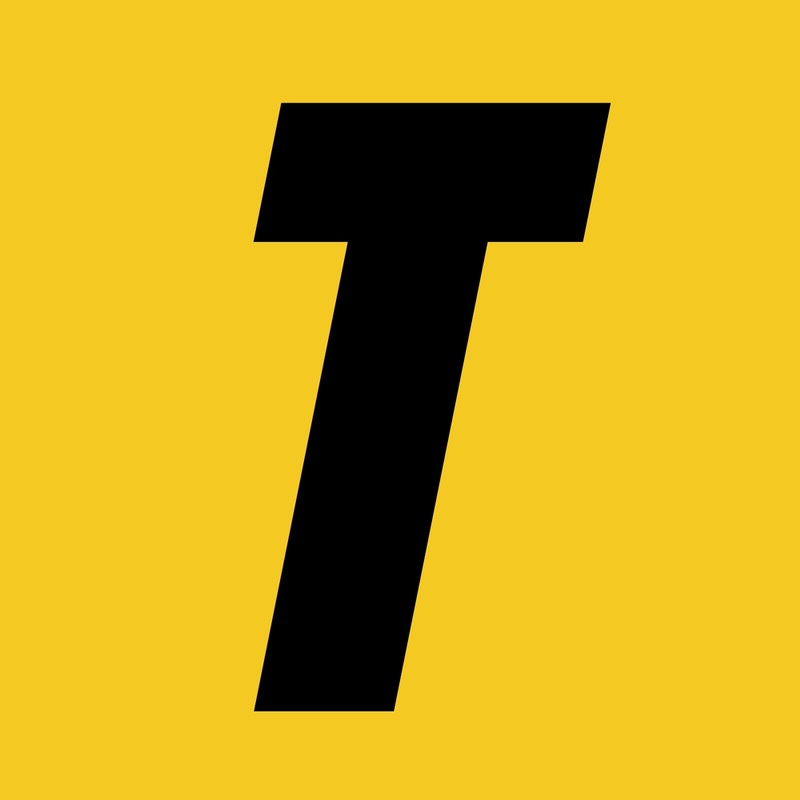 Brochin, who was once a TU professor and whose district includes Towson University, was the one who introduced a resolution on the senate floor to recognize Towson University, an annual part of Tiger Pride Day. 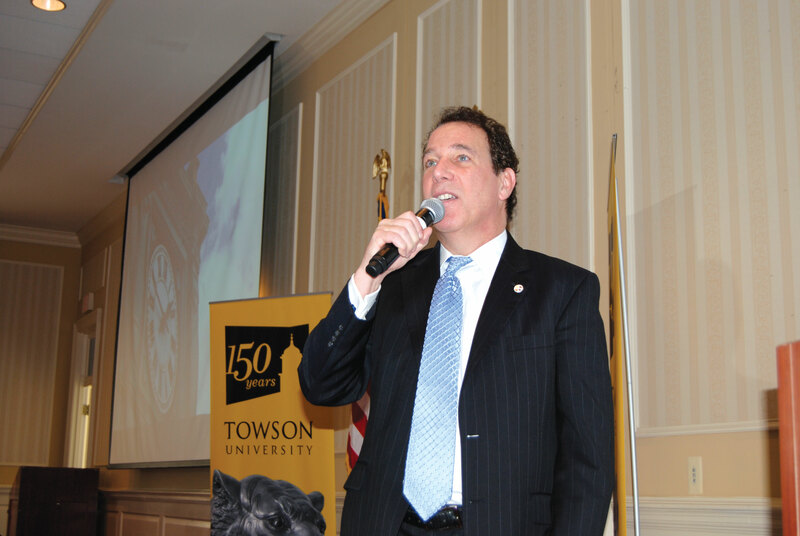 Over two dozen legislators and other officials showed up to the Tiger Pride Day reception, including Baltimore County Executive Kevin Kamenetz, State Secretary of Commerce Mike Gill, Secretary of Higher Education James Fielder and members of Gov. Larry Hogan’s office, among others. 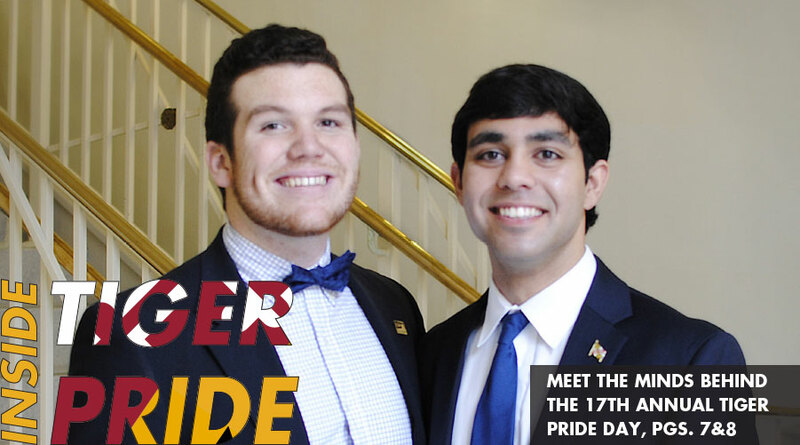 Tiger Pride Day came together this year largely because of the work put in by SGA Director of Legislative Affairs Pierce Jaffri and assistant director Pat Mascio. The two of them had to coordinate catering, transportation, room reservations, scheduling, agendas and more to pull off this year’s event. Jaffri said he booked the banquet room back in September, around the same time he started emailing legislators to book meeting times. A week before the event, he called each legislator’s office again to confirm the meeting times were still okay. When possible, students who signed up for Tiger Pride Day were matched with their own representatives in the house or the senate. Mascio did the actual job of matching students to legislators. 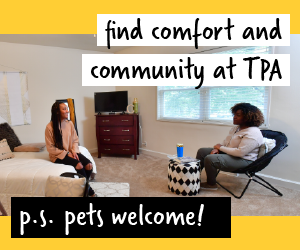 After navigating the underground tunnels that connected the buildings in the State House complex, Towson students were split between the House and Senate balconies to watch members of the SGA executive board receive resolutions recognizing the university. “To see them enjoy that and get honored on the 150th year, as the 95th administration, was really cool to see, and I’m really glad they got to do that,” Jaffri said. Photos by Cody Boteler/ The Towerlight Towson students and legislators including Senator Jim Brochin and Baltimore County Executive Kevin Kamenetz participate in the 17th annual Tiger Pride Day Feb. 17. Traditionally, the director of legislative affairs would stand on the floor to receive the resolution, but the house and senate both changed their protocol, and only three members of the SGA could be on either floor, according to Jaffri. 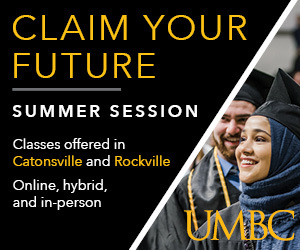 Jaffri said that the most challenging part of Tiger Pride Day happened during the closing reception, when unscheduled speakers followed addresses by Towson President Kim Schatzel and SGA President Kurt Anderson. “I was surprised and overwhelmed by how many dignitaries wanted to come speak,” Jaffri said. Jaffri had to move back and forth between introducing new speakers—including Baltimore County Executive Kevin Kamenetz and members of Gov. Hogan’s office—and asking new arrivals if they wanted to speak. Despite the hectic nature of lining up reception speakers, Jaffri said that this Tiger Pride Day, his second as director of legislative affairs, was easier than the first one he planned last year. Photos by Cody Boteler/ The Towerlight Towson students and legislators including Baltimore County Executive Kevin Kamenetz participate in the 17th annual Tiger Pride Day Feb. 17. Jaffri said that, last year, he didn’t start planning for Tiger Pride Day until January—much later than the five-and-a-half months he and his team spent planning this year. During the remarks he gave toward the end of the reception, Jaffri announced that he will not be returning to the role of director of legislative affairs in the SGA. “I really care about this position though, so I’ll be around to help the next director a lot,” Jaffri said. Just after midnight on Feb. 19, two days after Tiger Pride Day, student activist John Gillespie posted a statement on Facebook decrying the SGA’s lobbying. 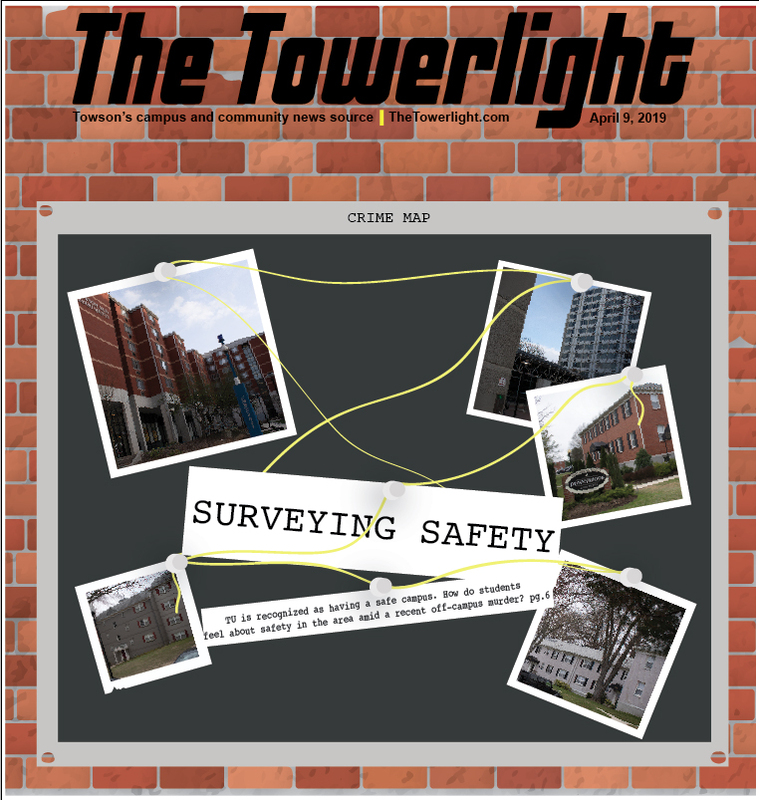 “In all honesty, Tiger Pride Day did nothing but exemplify the fact that the black student population at Towson University continue to maintain a marginal position in the vision of Towson University’s future,” the post said. Over the next day, Jaffri and Gillespie, along with SGA President Kurt Anderson, SGA Senator Korey Johnson and student activist Bilphena Yahwon engaged in a back-and-forth on social media. Later that day, Gillespie made a blog post reiterating his concerns with the agenda—not that there was anything wrong with it, but that it did not specifically mention the list of demands from #OccupyTowson or any of the issues related to it. Jaffri defended the Tiger Pride Day agenda while Gillespie, Johnson and Yahwon argued that it was an “all lives matter” agenda. Neither Gillespie, Johnson nor Yahwon participated in Tiger Pride Day. 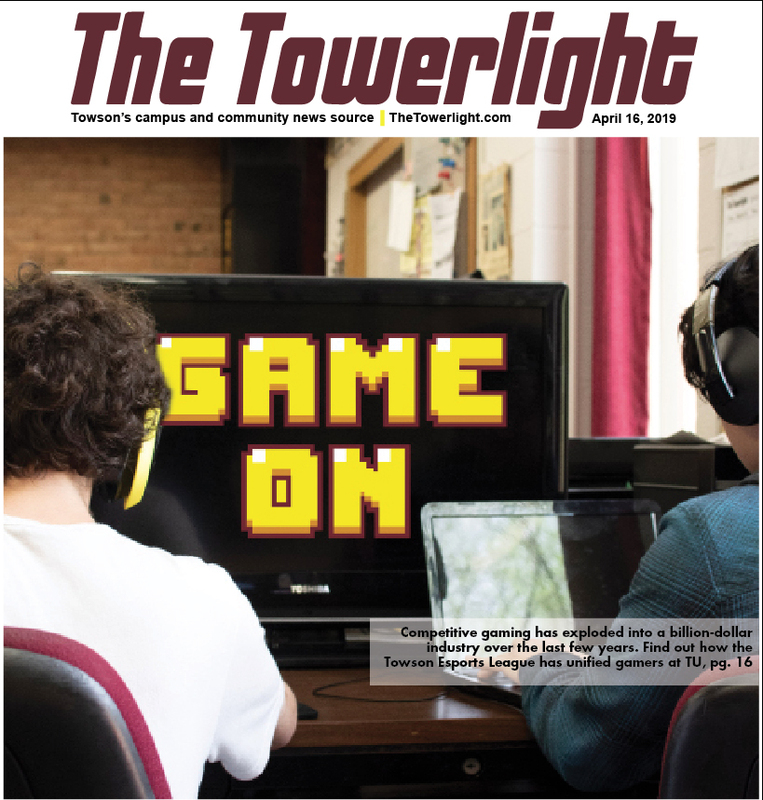 “While all of the initiatives present were great, the decision to not include an initiative specific to the needs of black students is what I have a problem with,” Yahwon said in an email. Yahwon said that she did not know what Tiger Pride Day was, or that students outside of the SGA could attend. Johnson did not respond to a request for comment. On Facebook, Kurt Anderson replied to some of the posts, listing a number of ways that some of the demands were being addressed. Kurt Anderson mentioned, among other concerns, getting diversity chairs on Greek councils and the expansion of a race relations course at TU. According to Matt Lenno, director of Fraternity and Sorority Life, all the Greek organizations are working to meet the objective of having a diversity chair. “They all want to get on board,” Lenno said. Lenno said that his office is asking all individual chapters on campus and every Greek Council on campus to have a leadership position connected to diversity outreach. Nilo Exar/ The Towerlight Student activist John Gillespie and a group of concerned black students stage a sit-in protest during a Nov. 17 SGA meeting. 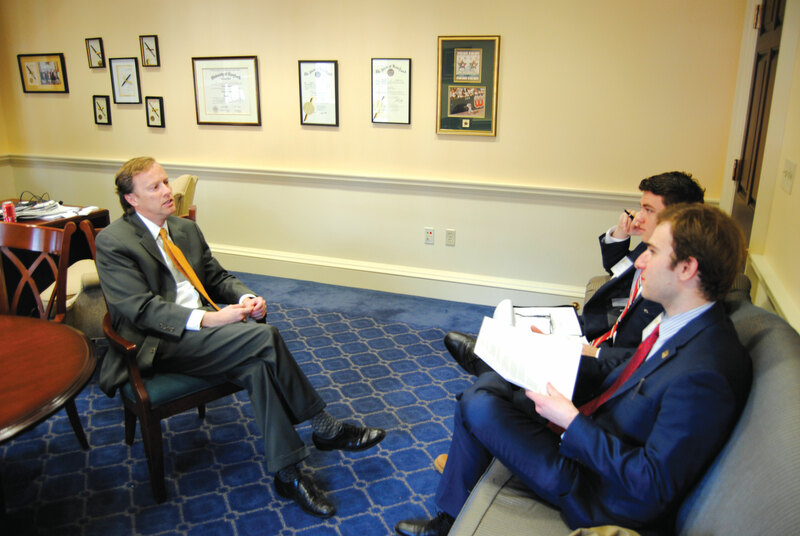 Initially in an interview, Gillespie wasn’t sure about what specifically he’d like to have seen on the agenda, but when asked again said that he would’ve wanted to see some mention of the demand to stop using and purchasing material produced in the Maryland State Prison system. That particular demand was not addressed at Tiger Pride Day but is being addressed by the University System of Maryland Student Council and the SGA. The Tiger Pride Day Legislative Agenda was approved by the SGA by an all-but-unanimous vote at their retreat. 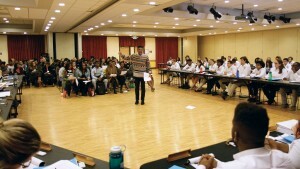 SGA senators Donald Finley and Korey Johnson were not at the retreat to vote on the agenda. Blaire Ferry, another SGA senator, was unable to vote on the agenda. The agenda received 22 votes for approval. Gillespie also said that he would have liked to have been approached. He would have liked members of the SGA to come and speak with him to show that they take him seriously. “I’m not coming to you,” Gillespie said. Despite the public criticism, Jaffri has remained confident in his legislative agenda. “I truly believe that every initiative that we have on the legislative agenda benefits all students on campus regardless of color and I stand for what I believe in, and that’s truly what I believe in, regardless of what anyone has to say about that,” Jaffri said. Jaffri said that, even with the controversy that came in the days after Tiger Pride, he’s glad to have been a part of the lobbying effort during Towson’s 150th anniversary—and that he’s looking toward the future.